When my oldest daughter was a stubborn toddler, I gritted through her tantrums comfortable in the knowledge she would one day be a strong-willed, confident girl. 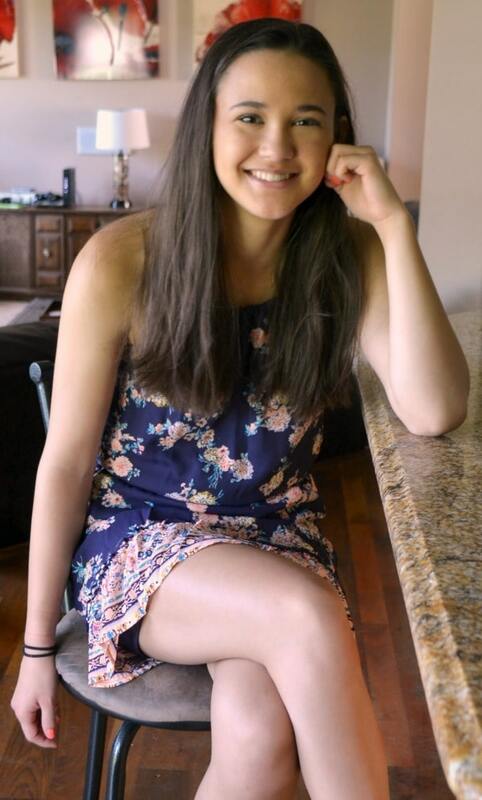 As my daughter got older, I became acutely aware of all the ways friends, family, society, media and fashion could undermine that confidence I was so certain was deeply rooted in my daughter. I realized that safeguarding her self-esteem needed some active participation on my part. Maybe that confidence she was born with would have endured without any extra effort from me, but I wasn’t willing to take chances. I grew up idolizing Wonder Woman because she was one of the few female superheroes. I loved seeing a strong, but feminine woman take on challenges and fight to make the world a better place. I talk to both my daughters a lot about the women I admire from Sheryl Sandberg, for her amazing success as a business leader, to Danica Patrick who holds her own in a male-dominated sport. I want my daughters to see that the only limits on what they can do in life are controlled by their own actions and decisions. I recently discovered another inspiring female role model. Lzzy Hale, the lead singer of Halestorm, a GRAMMY® Award-winning hard rock band. Lzzy and her brother started the rock band as kids, encouraged by their parents to pursue their dream. That love and support inspired her to write “Dear Daughter.” It’s a beautiful song full of wonderful, empowering advice for young girls. Somehow, in three and a half minutes, she’s able to convey all the messages I’ve been sharing with my daughters over the past 17 years. The fairy tales I grew up with always featured princesses who were somehow saved by a prince. Thankfully, Disney now features many princesses who do a pretty good job of taking care of themselves. I want my daughters to learn to be independent and competent individuals. My teen daughter had to learn to change a tire and change the oil in the car before we allowed her to drive, just as her older brother had to. Men are, on average, physically stronger than women, but that doesn’t mean we can’t take care of ourselves. More importantly, being competent and independent is a key component of confidence. You prove to yourself you are capable! I think compliments play an important role in developing our children’s confidence and self-esteem. The right compliments can build our daughters up and the wrong ones can lead to focusing on the wrong values and traits. Before you pay your daughter a compliment, think about the message it conveys. For example, telling your daughter that she’s “so smart” for having done well on a test, might lead her to think she’s unintelligent when she doesn’t score as well. And while I think it’s important for a girl’s confidence for her to be told she is beautiful, both inside and out, if you aren’t complimenting her other attributes as frequently, she might start to think it’s only her looks that matter. As we think about the messages we send our daughters with our compliments, I think it’s important to think about it in everything we do. As much as possible, whether I’m talking about myself, my daughters, or others I try to focus on the behaviors, actions, and personality traits that gain my respect and admiration. And while I will sometimes mention that someone looks especially attractive with a new hairstyle or outfit, I also try to emphasize my admiration for their effort and talent for creating an attractive look instead of placing value on physical attractiveness. Most importantly, our daughters learn from our example. When we pout about being fat, we teach them that their body image and self-esteem should be tied to a scale. When I catch myself doing this (because despite my best efforts and good intentions I continue to do things I know I shouldn’t), I turn my comments into phrases like “I’m unhappy that I’m making unhealthy choices” and “I need to stop making excuses and get back into exercising regularly again.” Even if it takes me awhile to follow through on those statements, at least my children know the source of my unhappiness are actions and behaviors within my control, not on what others think of how I look. Like the compliment example I shared earlier, it’s far better to compliment your daughter on her hard work and great study habits than it is to simply tell her she’s “smart.” She can control how much effort she puts into learning, but there isn’t much she can do to skyrocket her IQ. 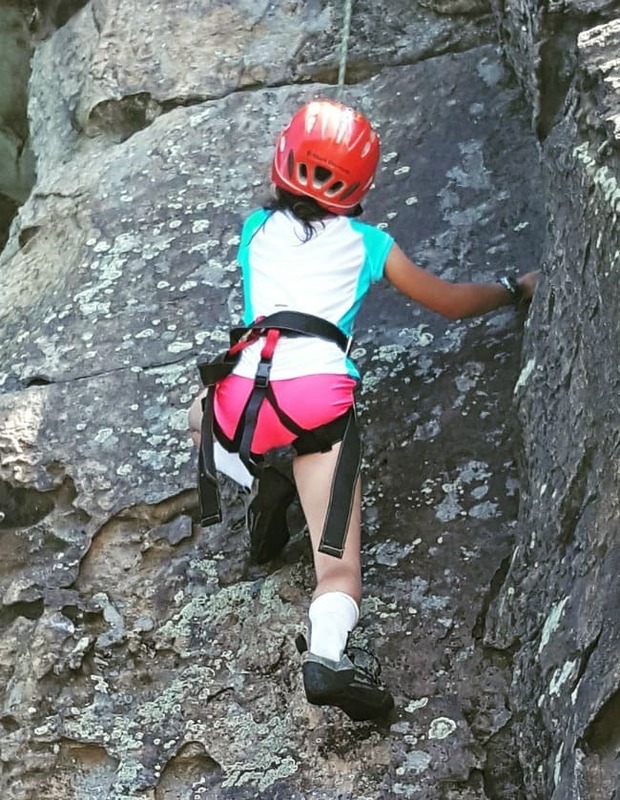 When you emphasize effort and action over natural ability, it’s important to give your daughter opportunities to build confidence in these areas. Challenge her both physically and mentally. A key characteristic of a confident person is that she will speak up for herself and for what she believes is right. 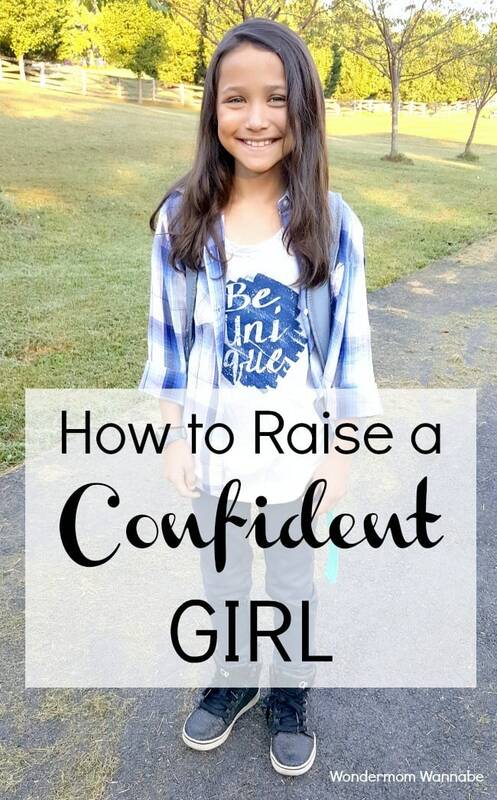 If you want your daughter to be a confident girl, you have to allow her to voice her opinions. That doesn’t mean you have to give in to all of your daughter’s demands. After all, you still have a voice too. But give her space to make her points, listen to them and address them when you make your final decision. Giving your daughter a voice also means valuing the words she speaks. I am guilty of only half-listening when my kids are trying to tell me something. My mind wanders to my to-do list and I miss a lot of the key details. And they bust me every time. Try to REALLY listen when your daughter speaks to you so she knows what she says matters. If her own mother doesn’t care about what she has to say, why would anyone else? Girls self-confidence is often undermined by wanting to fit in. Some kids think that in order to have friends, they have to be like everyone else, which results in them hiding or suppressing their individuality. But that’s not true! Help your daughter identify groups, clubs, teams that align with the things she likes so she can connect with other girls with similar interests. Their personalities will still be unique but the shared interest will make it easier for them to work together and leverage their differences. For example, most group sports thrive when they are made up of athletes with different abilities. In soccer, the players with precision make great forwards and the players with lots of endurance are excellent midfielders. Likewise, in chorus, the group’s sound is so much better when made up of voices in different ranges rather than a symphony of sopranos.